Be Ready for Anything. Accelerate is a complete office system that maximizes style and comfort while minimizing start-up time and cost. 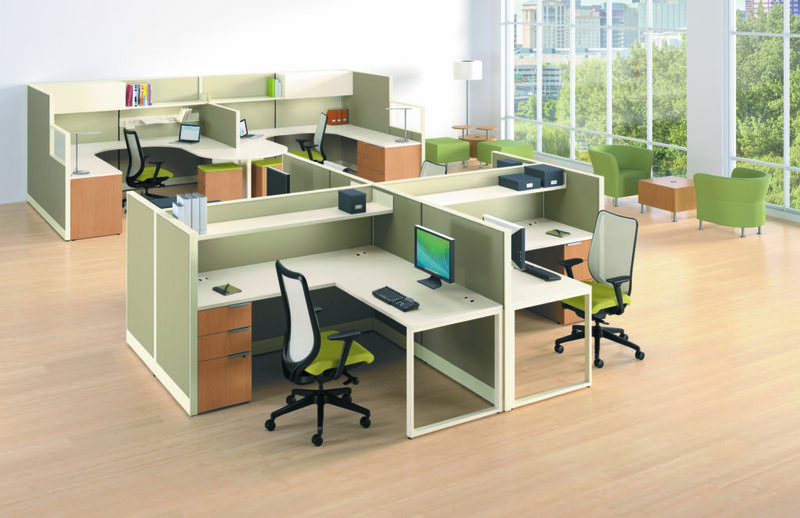 Its clean, modern profile encourages smooth workflow throughout the entire office, and its interchangeable components let you change your layout without changing your furniture. Products in this collection allow for multiple configurations, giving you plenty of design flexibility. 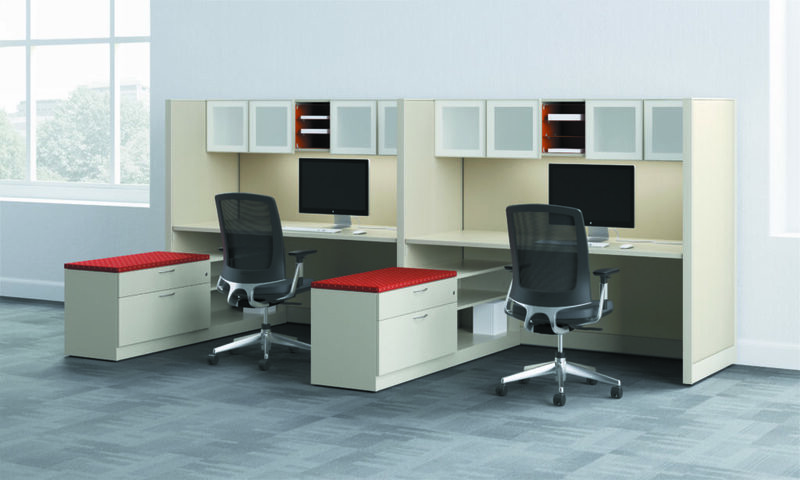 Accelerate is ideal for collaborative workstations and cubicles, desk areas, and reception areas. Options include panels, frameless glass, and swinging doors to create work areas and privacy for your team. Customizable – Multiple configurations giving you plenty of design flexibility. Privacy and Collaboration– Private offices, open and collaborative environments, and reception areas are all possible with elements like 72” panels, frameless glass, and swinging doors. Stylish Options – Work surfaces are available in 120-degree configuration to put everything in reach. Organization – Metal base rail keeps wiring neatly concealed and organized.